All Saint's, Filby01493 368210work ChurchFilby is one of the earliest settlements in the Fleggs and the present church, begun about 1350, stands on the site of the original building. The tower is a fine example of the perpendicular period. The unusual figures on the top corners represent the Latin Doctors of the church. The octagonal font in purbeck marble, despite it's appearance, is the oldest object in the church and probably came from the original building. 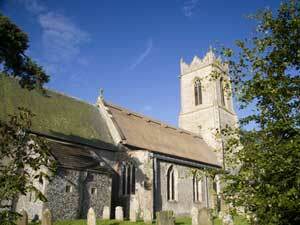 All Saint's, Filby, is a Medieval church building with 15th century painted rood screen dado. 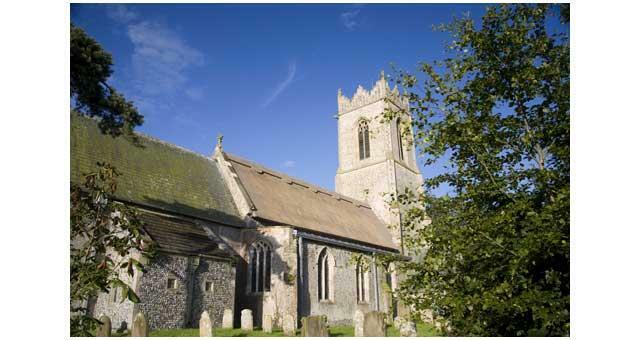 Filby is one of the earliest settlements in the Fleggs and the present church, begun about 1350, stands on the site of the original building. Church is open weekdays from dawn to dusk. Off the A1064 main road through Filby. Follow signs for church.